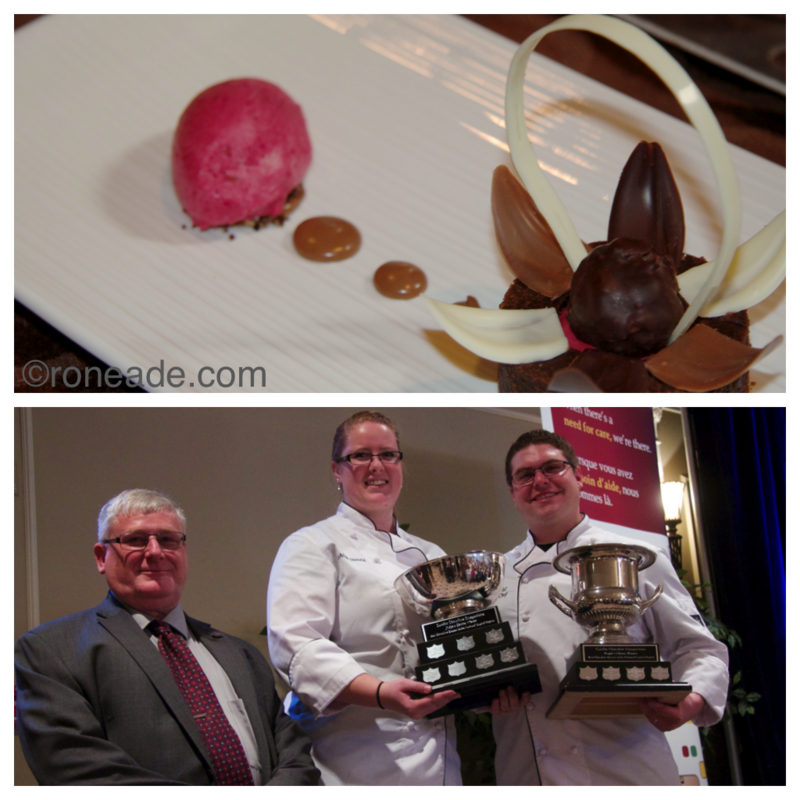 MAR 08 15 – Cordon Bleu-trained pastry chef/owner Jeff Stoveld and wife, Ashlyn, of Top of the Hill Bakery in Orleans took both the judges top award and people’s choice Saturday at the 11th annual Carefor Chocolate Competition at Tudor Hall in Ottawa, against seven other competitors. Both trophies come with an oh-so-sweet $500 prize. 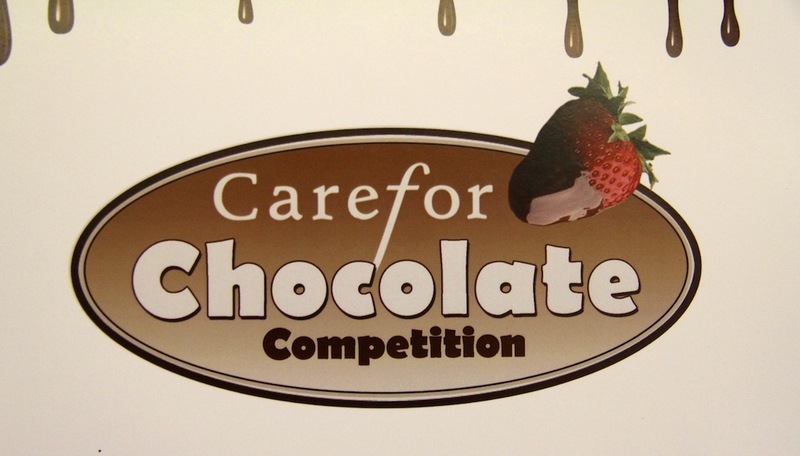 Organizers said fundraising from the annual event, without doubt the most prestigious chocolate competition in the city, raised more than $38,000 – a record amount, surpassing this year’s goal of $35,000. Carefor is a non-profit organization that has provided home and community support services in Ottawa since 1897. An estimated 360 people attended at $75 a ticket ($25 tax receipt is given). Top of the Hill’s winning entry was made with dark, milk and white chocolate, feuilletine, sugar, butter, eggs, water, gelatin, raspberry mousse, hazelnut paste, heavy cream and cocoa nibs. 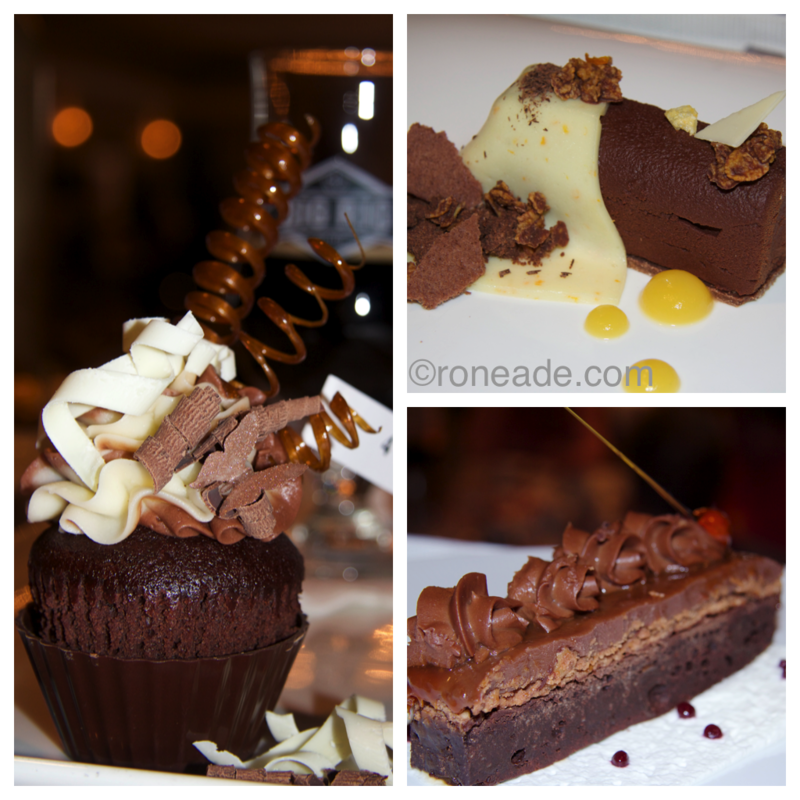 “I was looking for finesse among the pastry chefs,” said judge Heinrich Stubbe of Stubbe Chocolates, the dean of artisan chocolatiers in Ottawa. Jeff Stoveld, a 2009 graduate of Cordon Bleu, was former pastry chef at Signatures at Le Cordon Bleu in 2009-10 at a time the restaurant enjoyed the coveted five-diamond rating by the CAA-AAA. Top of the Hill had previously won the people’s choice and judges’ Carefor award in 2012, and people’s choice again in 2013. Judges this year all came with professional culinary credentials including chocolatier Heinrich Stubbe, chef Russell Weir (president of the Canadian Culinary Federation in Ottawa, and executive chef of food services at Algonquin College), Altaf Sovani (chair of the Algonquin School of Hospitality and Tourism, which includes the chef program), and myself (former Food editor of 14 years before my retirement in 2012). 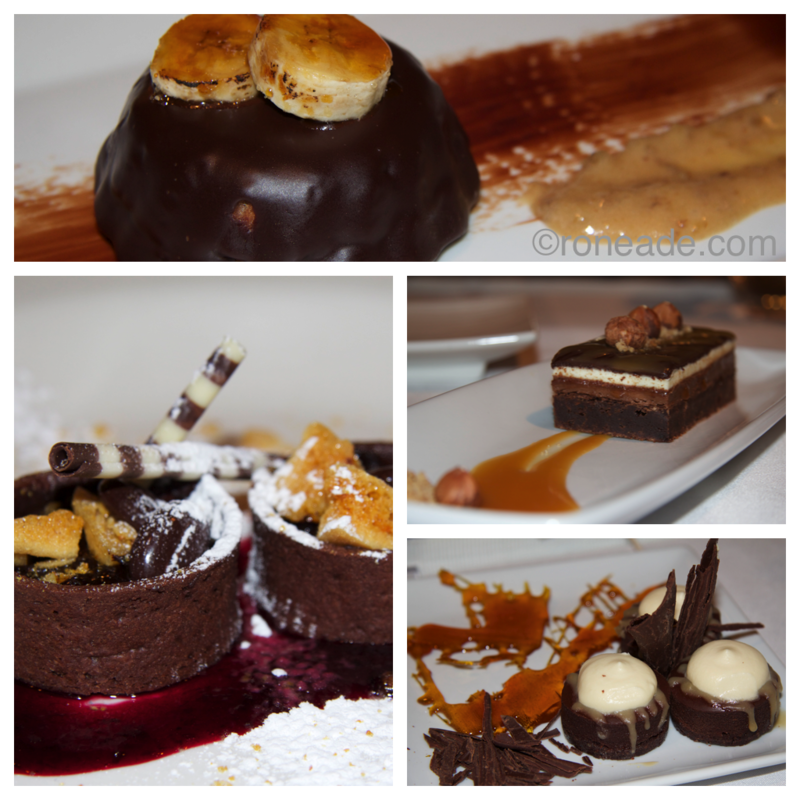 Eight contestants were on deck this year: Top of the Hill, Essence Catering, Eden Cheesecake Co., Hilton Garden Inn (Ottawa Airpoprt), Le Café at the National Arts Centre, Sarah J’s Cupcakes, Tammy’s Creative Cakes, and Todric’s Restaurant and Catering. Emcee for the event was Derick Fage, host of Rogers Daytime, and radio host Codi Jeffreys of Jewel 98.5. 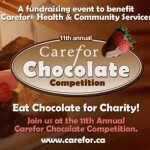 “Thank you to all who helped make the event a success for the Carefor organization and the wonderful people they help. “Thanks to Jason Laurin and his wonderful crew at Essence Catering, Sarah J. Corbett and her wonderful crew (Anna Epp) of Sarah J’s Cupcakes, John Morris and Christina Valentine and the great group at the National Arts Centre, Eric Patenaude at Todrics Catering and Fine Dining, Tammy from Tammy’s Creative Cakes; Jeff Stovheld at Top of the Hill Bakery, Raelene at Eden Cheesecake Co., and Henry Strong from the Hilton Garden Inn. Our competitors make all the difference in our success! “Also thank you to Jeff Stoveld for an amazing job of taking both the judges’ choice and people’s choice awards — the only competitor so far to do it twice. “Thanks to our judges Ron Eade, Altaf Souvani , chefs Russell Weir and Heinrich Stubbe, and a huge thank you to our emcees Codi Jeffreys from Jewel FM and Derick Fage of Rogers Daytime.